Your family can help save kiwi and have fun following the real life adventures of four wild kiwi on the Kiwi Coast – Milo, Kokiri, Marohi and Kicker. Where will they wander next…? Who will be first to find a mate? Or who seems content, enjoying a bachelor lifestyle on his private Tutukaka beach? As a Follow the Kiwi Sponsor you will receive news, updates, photos and event invites FIRST! All proceeds helps Kiwi Coast Trust support and enable Northland kiwi conservation so kiwi can thrive once more and roam free in the wild. Join your entire family to our ‘Follow a Kiwi’ programme for just $30 per month to follow the lives and adventures of four wild kiwi on the Kiwi Coast – Milo, Kokiri, Marohi and Kicker. These young male Northland brown kiwi were all released on the Tutukaka Coast over the last 2 – 3 years by Tutukaka Landcare. They now face the challenges of staking out a territory, finding a mate, and adjusting to life on the mainland. Where will they wander next…? Who will be first to find a mate? Or who seems content, enjoying a bachelor lifestyle on his private Tutukaka beach …? As a Follow the Kiwi Sponsor your family will receive news, updates, photos and event invites FIRST! 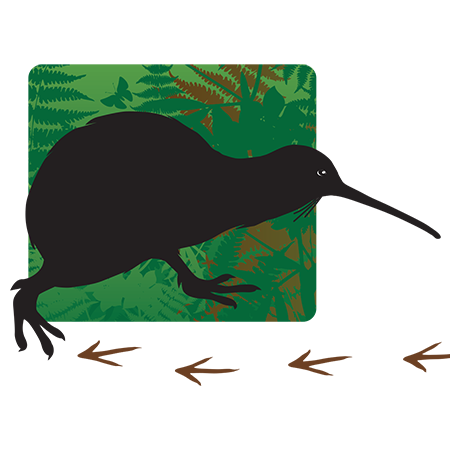 Plus your sponsorship helps Kiwi Coast Trust support and enable community-led kiwi projects to ensure Northland kiwi are free to roam and able to thrive in the wild.